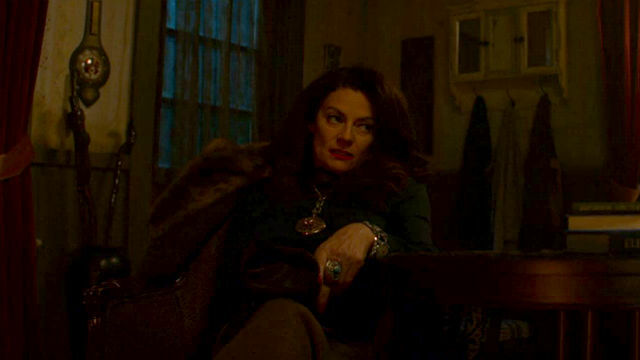 In the previous episode of Netflix’s Chilling Adventures of Sabrina, Roz lost her sight, and Sabrina killed Nick’s familiar. 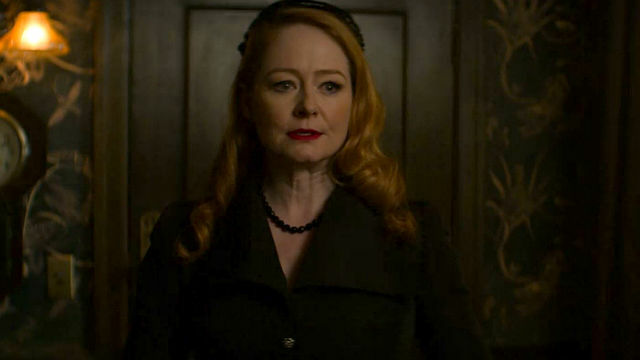 In Chilling Adventures of Sabrina Season 2 Episode 4, the mysterious Mrs. McGarvey set up a tarot reading table at Dr. Cerberus’s, and dark vignettes of warnings accompanied each character’s readings. 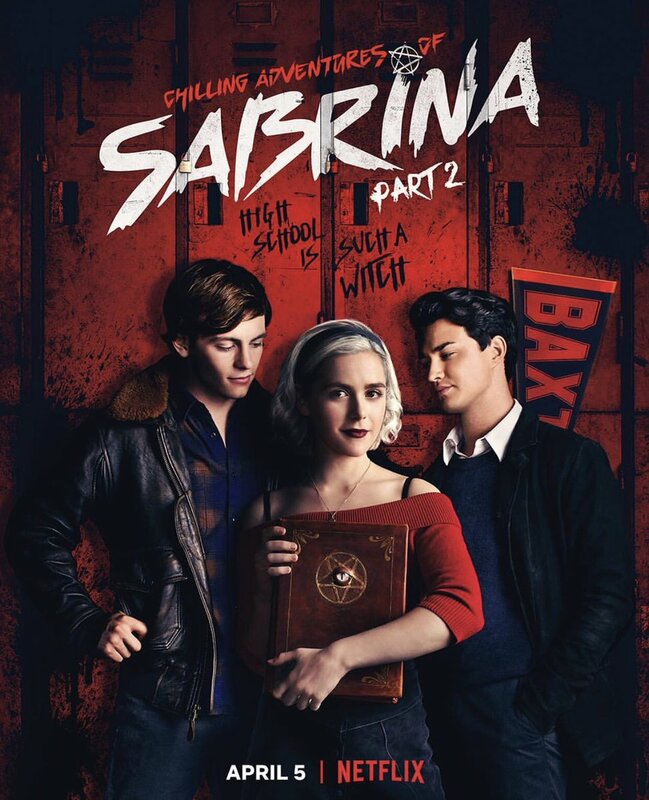 Uneasy about Nick’s lie and general bad boy charm, Sabrina’s jealousy overtook her when the Weird Sisters joked with him about the talent show. Nick needed an assistant for his stage magic act, but Sabrina refused. After the Weird Sisters had their turns as his assistant, Sabrina insisted she would assist in his third trick. Nick levitated her, but the Sisters overpowered his spell. Sabrina drifted higher and higher, until she froze to death in space. The lesson for Sabrina was to trust Nick. Later, Sabrina asked Nick if he was her boyfriend. He assured her he was, so she asked him to stay away from the Weird Sisters. She didn’t trust them. Roz’s father received donations from the church congregation to pay for an expensive corrective surgery for her. After it worked, Roz felt guilty about using the money. She volunteered at a home for the blind, and her first assignment was newly blind Audrey. To Roz’s horror, Audrey was blind because Roz’s new eyes once belonged to Audrey. After the reading, Roz told her father she wanted to wait until they could afford the surgery themselves. Theo wanted to affirm his gender but couldn’t have it done surgically. Dorothea’s spirit suggested breaking into the Spellmans’ for a magical solution. He performed a spell, and it worked – until his arm turned into wood. He agreed to lose the arm rather than reverse the spell but discovered afterwards that his legs had also turned to wood. Harvey went to a Rhode Island art colony over the summer. His roommate, Howard, had demons for muses. After finding Howard hanging from his neck, Harvey found a demonic portal. Mrs. McGarvey assured him that he didn’t need to go far to suffer for his art. During the reading’s scenario, Zelda had resolved to tell Blackwood about Leticia. She believed they could all be a family. When she went to Dezmelda to retrieve the baby, she discovered a younger Dezmelda who had eaten baby Leticia. After the wedding, Zelda came across Faustus all over Dezmelda, and Zelda couldn’t explain why it was so bad. Some things, according to Mrs. McGarvey, should stay secret. Ambrose was close to entering Blackwood’s inner circle. The reading showed Blackwood inviting him to the secret society loyal to him. Luke was currently on a mission for it. Blackwood helped him craft a weapon, but Ambrose had to use it on his family. To prove his loyalty, he killed Zelda, Hilda, and Sabrina. Blackwood inducted him into the Judas Society. The reading stopped abruptly, as Mrs. McGarvey didn’t want to show him the last card. After looking, he ran to Blackwood, who had some sad news. Luke was dead. Ambrose would take his place in the Judas Society. Ambrose held the final card in his hand: Death. Lilith had been Mrs. McGarvey all along. She spoke to Stolas about the Apocalypse and how it was every witch for herself. She held the Empress card. 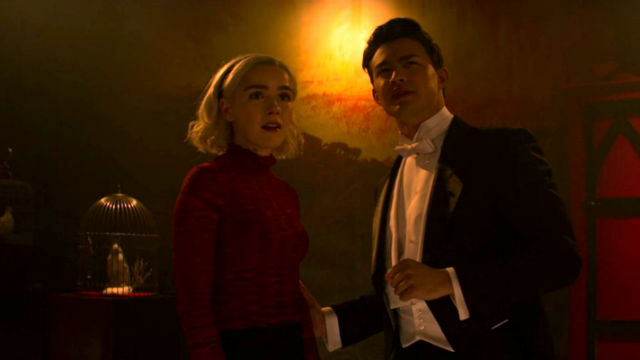 What did you think of this episode Chilling Adventures of Sabrina? Let us know in the comment section below!